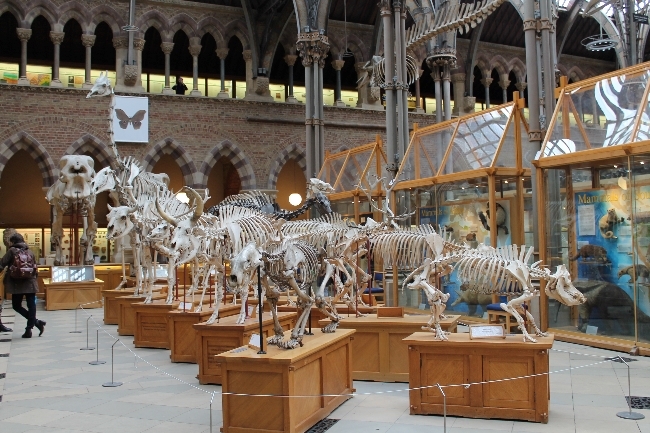 At the end of last month I was lucky enough to be invited to tag along with a class of third years from my former university on their field trip to the Oxford University Museum of Natural History. 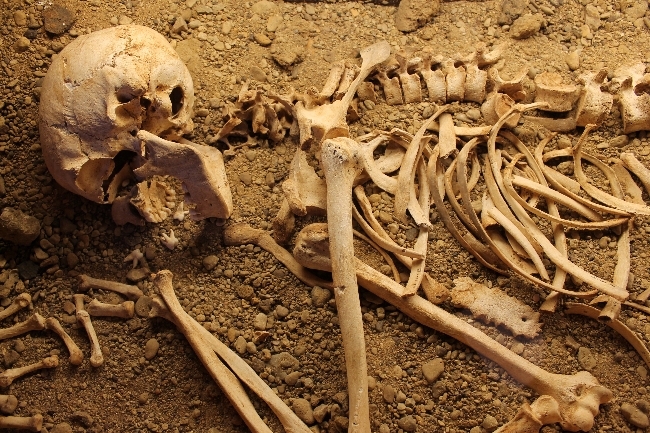 Although I actually spent two weeks volunteering there a couple of summers ago, I didn't get the opportunity to properly experience the museum because the building was undergoing some refurbishment at the time and wasn't open to the public. You can read a couple of my posts about that visit here and here. This time though, the museum was fully accessible so I was able to enjoy looking at all the exhibits. I will definitely be visiting again though, because I feel like I could easily spend a lot more time there in order to properly appreciate the whole museum. I'll share my photos from the museum visit first but if you're here for the outfit photos only, then feel free to skip over the first part of this post and scroll right to the bottom. One of my favourite things about the museum is the gorgeous Victorian gothic architecture. 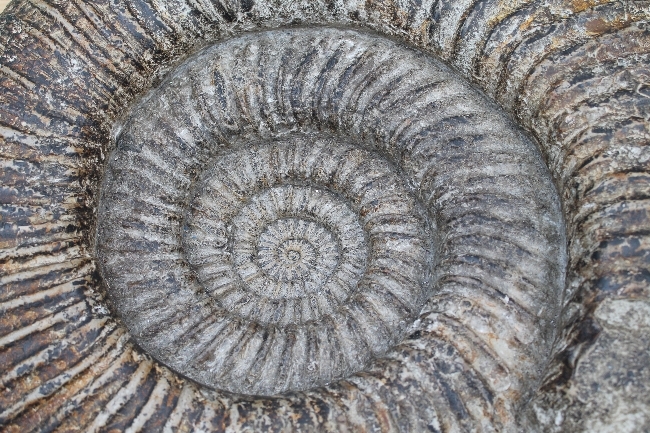 It's doubly special because it is the site of the Great Debate - where several very prominent scientists and philosophers gathered together in 1860 to discuss the theory of evolution following the publication of Darwin's Origin of Species. A second floor has been added to the museum since the debate, so you can actually stand in the ceiling space directly above where the meeting took place. You can read more about the debate here on Wikipedia, or here on the OUMNH website. 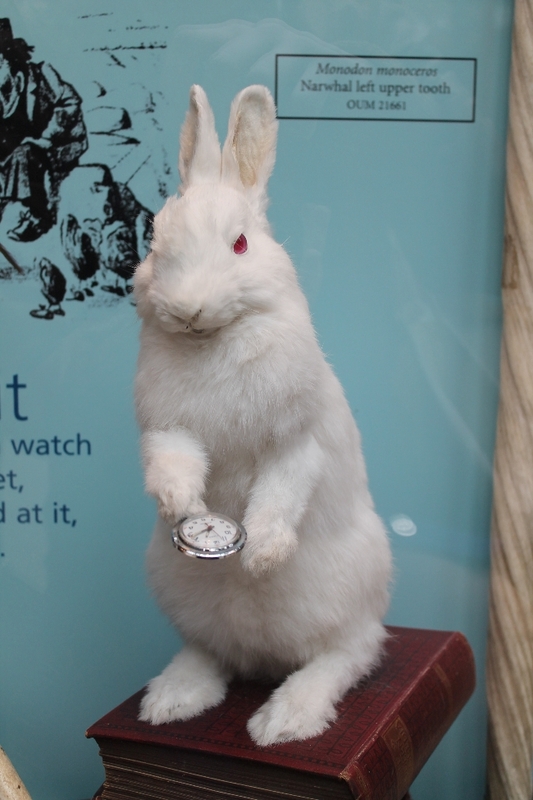 There is also an Alice in Wonderland themed display in the museum due to the connection between Oxford and Charles Lutwidge Dodgson - AKA Lewis Carroll. 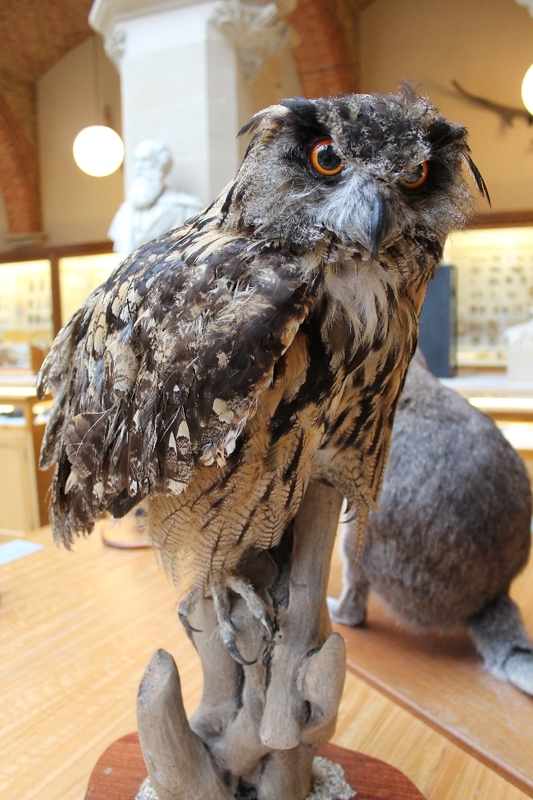 Carroll was a regular visitor to the museum with many of his characters reportedly being inspired by museum exhibits including the famous Oxford dodo which was incorporated into his stories. 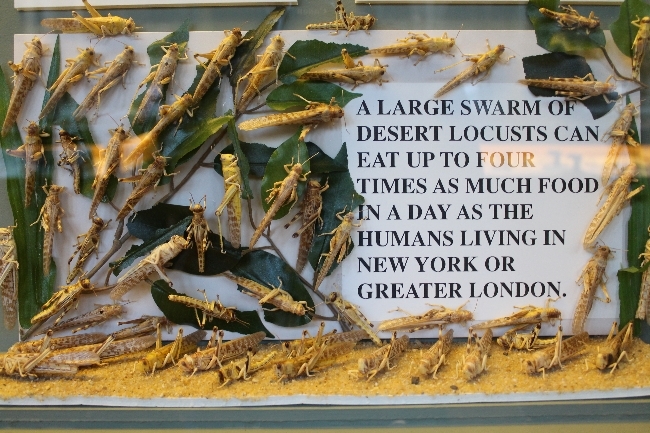 Now I'm a bit disappointed with the photo above, because there was an amazing display of beetles but my photo really doesn't do it justice. Beetles are one of my favourite insect orders to work on though because of the huge amount of diversity - I never get bored. Some of my favourites at the moment are longhorn beetles (Cerambycidae) and weevils (Curculionidae). 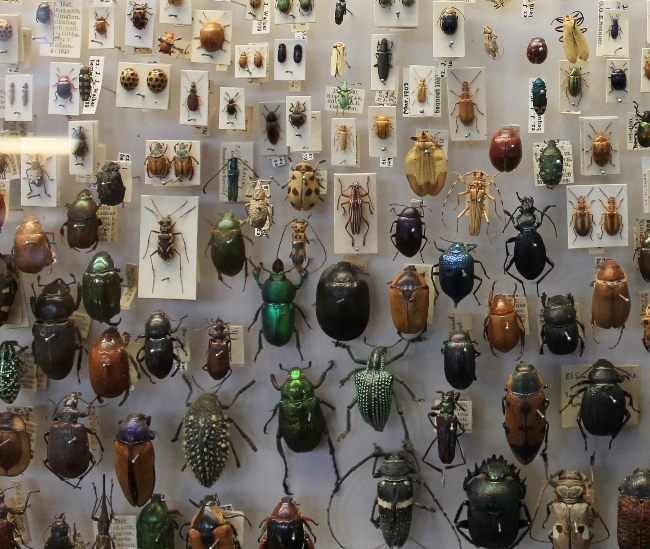 Beetles are the largest group of organisms on the planet - a fact which prompted the evolutionary biologist J.B.S. Haldane when he was asked what could be inferred about the Creator from the works of Creation to reply that the Lord must have had "an inordinate fondness for beetles". I also popped briefly into the Pitt Rivers museum (which I visited last time as well). I only took one photo, do you want to see? It's one of the shrunken heads of course! 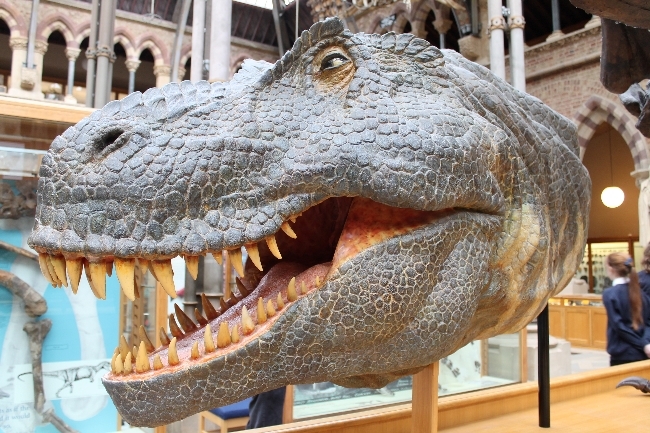 I actually took an almost identical photo last time I went to Pitt Rivers but had completely forgotten about it. Aren't they freaky though? Have to be seen to be believed. 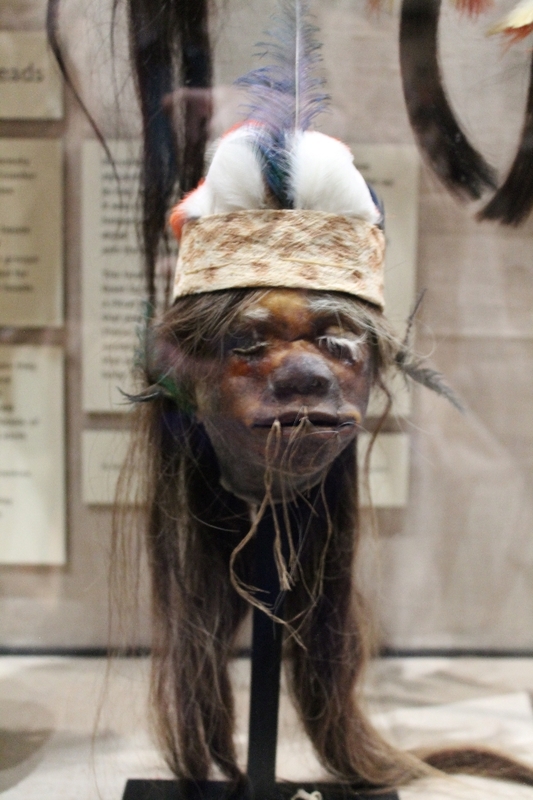 They even have some shrunken monkey heads in the museum. Lastly, here are some photos of what I wore. I didn't take any outfit photos while I was on the trip but I did take some at home. Because of the cold weather I added some extra layers to my outfit compared to what I'd originally planned. I may revisit this outfit over the summer and see whether I can make it look more like the idea I had in my head. However, I feel like this outfit is a good example of how you can wear vintage clothing without actually recreating the styles of past decades. In this instance only my blouse is original vintage, but you could easily put together a similar look using a vintage pencil skirt, cardigan and accessories. 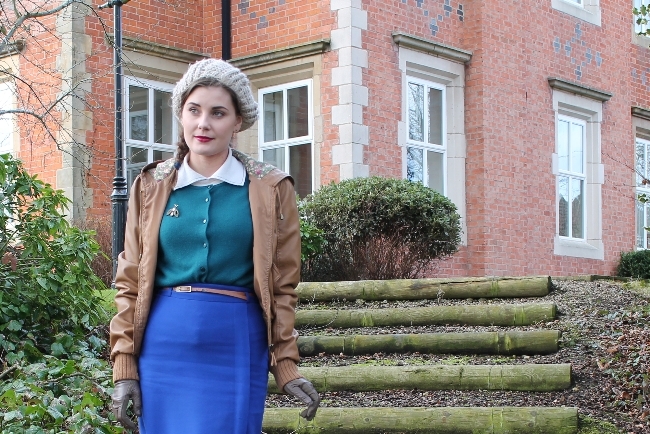 The outfit did originally look more vintage as I'd wet set my hair as usual, but a look out of the window before leaving convinced me I needed something a bit more weather-proof so I put it in a quick plait on my way out. We had rain showers and hail later in the day so I was glad I did! As an extra touch I added my moth brooch which was a Christmas present from Ell. I'm slowly building a small collection of insect jewellery which I really enjoy wearing. A friend asked me a while back where I get the pieces from - mine are actually all high street (I grab them whenever I see them to avoid missing out) but good old Etsy is great for unique jewellery as well. I've got my eye on a few things from Etsy to buy when I've got some money! I love your outfit. I'm finding myself drawn more to the simple side of vintage wearing and being able to mix old and new something I think you did perfectly here. By the way, that Museum!!!! Thanks Debra! I mix old and new all the time - it really helps give your wardrobe maximum versatility. And I know, tell me about it!! I love when people document their museum trips! One of my local museums have some shrunken heads, and one of them is a sloths head, from what I can remember. That sounds really cool! The shrunken heads are a star attraction at Pitt Rivers but it's packed full of amazing things; it's such a fascinating place to visit. Very pretty! I love that you matched your brooch with the day's event. That's a firm favourite thing of mine to do as well. Your wee insect is very charming. 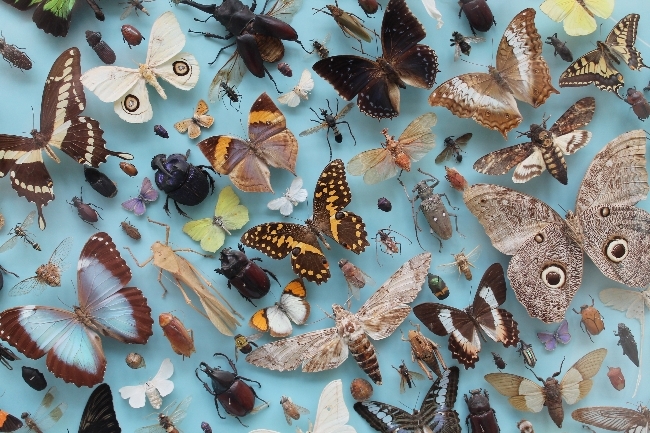 I've been branching out the bug section of my brooch collection in recent years and have numerous butterflies, a dragonfly, a bee, a moth, a ladybug/ladybird, and a snail now (hope I'm not forgetting any :)). It sounds like you have more than me actually! I'll have to remember to pick up a few more bits soon. Oh that museum looks amazing, I could see having to make multiple trips in order to soak it all in. 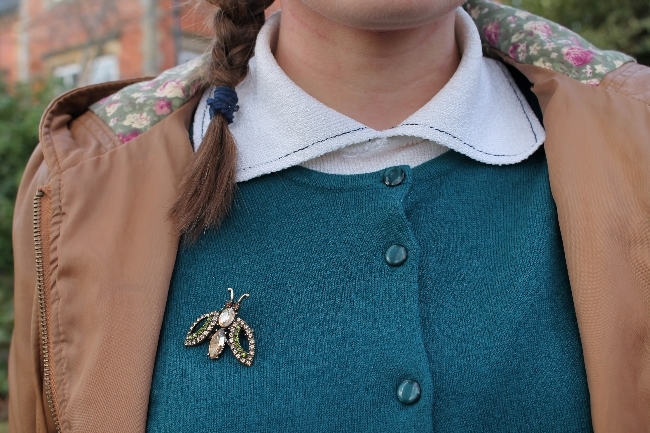 The moth brooch is just perfect for such a trip, I really like how you put it all together. 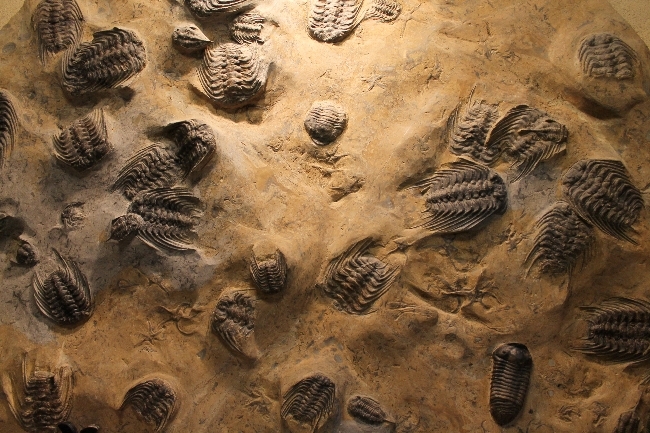 Oh my goodness, I can't believe I still haven't been to the Museum of Natural History! These photos have definitely piqued my interest even more - I'll be making a plan to go very very soon. For real though, you definitely need to go! 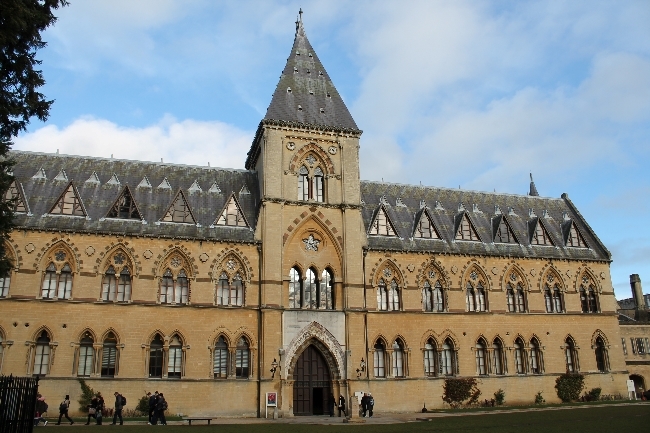 Go here, go to Pitt Rivers, go to the Ashmolean (I enjoyed the History of Science museum as well but maybe not as much as the others). 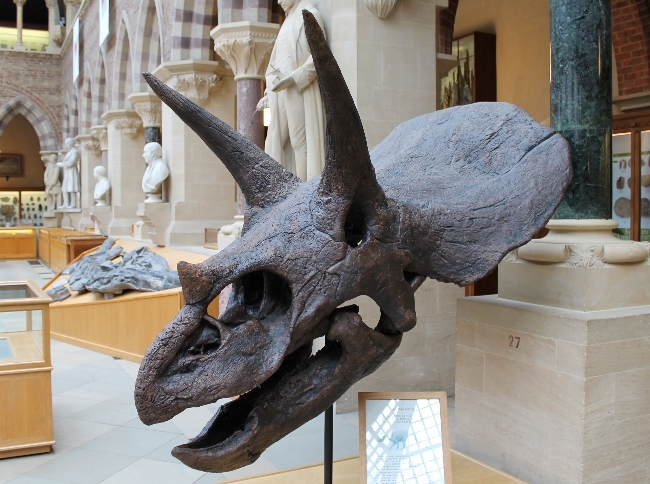 Oxford has some great museums and all free to go into, it's well worth a visit!